Obituary for Walter Dorzinsky | John V. Morris Family Funeral Homes, Inc.
Mr. Walter “Lefty” Dorzinsky, 93, a lifetime resident of the Georgetown section of Wilkes-Barre Township, fell asleep in the Lord Saturday afternoon in the care of the Gino J. Merli Veterans Center, Scranton, following a recent illness. Born December 16, 1925 in Wilkes-Barre Township, he was son of the late Michael and Julia (Yankovich) Dorzinsky. Educated in the Township schools, he was a graduate of the former Wilkes-Barre Township High School, Class of 1943 where he played varsity basketball for four years. He was voted most valuable player in both his junior and senior years. He later furthered his education by attending machinist's trade school. It was at the Wentworth Institute of Technology in Boston that he played baseball against professional teams from the New England area. On a professional level, Mr. Dorzinsky played on the Carbondale Class D baseball team in the Phillies organization and the Hazleton Class D team with the former Brooklyn Dodgers organization. Lefty was a P.I. A.A. basketball official for thirty-eight years. He was inducted into the Luzerne County Sports Hall of Fame and was awarded the Sam Falcone award in 2003. Following his formal education and in the tradition of his brothers who served in the Navy, Mr. Dorzinsky proudly served our country during the Second World War with the United States Navy in the Pacific Theater at the age of eighteen. He was Honorably Discharged from military duties on January 25, 1946 earning several citations including the Pacific Theater Ribbon with one star, the American Theater Ribbon and the Victory Medal. Until his retirement, he was employed as a foreman with the former Air Products in Hanover Township and continued on as a consultant for several years, traveling around the world. He and his wife, the former Margaret "Margie" Sochko celebrated 66 years of married life together on August 7th of last year. A devoted and faithful lifetime member of Holy Assumption of Saint Mary Byzantine Catholic Church, North Wilkes-Barre, Mr. Dorzinsky served his parish in various capacities. He drove the parish van for over 30 years bringing the handicapped and aged to worship; he served as an usher, and most recently, he would serve as acolyte for funeral and daily liturgies. He will be greatly missed by all those who knew and loved him. He also held a lifetime membership in the Wilkes-Barre Township Post #815 of the American Legion. When residents of Wilkes-Barre Township think of Walter "Lefty" Dorzinsky, they think of giving. One of his most striking characteristics was his total service to all he came in contact with. 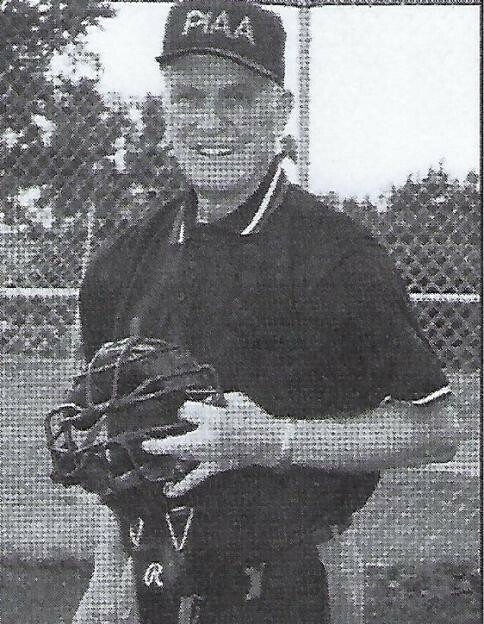 In addition to his service to his church and fellow parishioners, he donated his time and talents as an umpire and referee for local high school sporting events. He served on the Wilkes-Barre Township Recreation Board for twenty years; he assisted with the construction of the Wilkes-Barre Township football field, Kennedy Park and Saint Joseph's Youth League field. In his spare time, Walter enjoyed golfing and bowling. He was an enthusiastic Philadelphia Phillies and Eagles fan who also enjoyed rooting for Penn State football. He was preceded in death by a sister, Mrs. Christine Rokaski and by brothers Joseph and John Dorzinsky. Left to mourn his passing and cherish his memory are his beloved wife Marge at home; the couple's children, Michael G. Dorzinsky and his fiancee Cheryl Czekalski of Wilkes-Barre Township; Donna Schluter and her fiance Ron Marquis of Easton, Cynthia Dorzinsky and her companion Rick Wolensky of Wilkes-Barre Township; Grandchildren, including Krista (Ezra) Denman, Laura (Ian) Norris, Christopher Hughes and Juliauna Davis; Great-grandchildren, Miles, Audrey, Blakeslee, Margot, Abel and Harper; Numerous nieces, nephews, friends, fellow parishioners and veterans at the Gino J. Merli Veterans Center. Walter's family would like to gratefully acknowledge the staff of the Gino J. Merli Veterans Center, Scranton for the care and compassion shown their father in his final days. Funeral services for Mr. Dorzinsky will be conducted on Wednesday with Great Parastas at 10:00 a.m. at the North Wilkes-Barre location of the John V. Morris Family Funeral Homes Inc., 625 North Main Street. 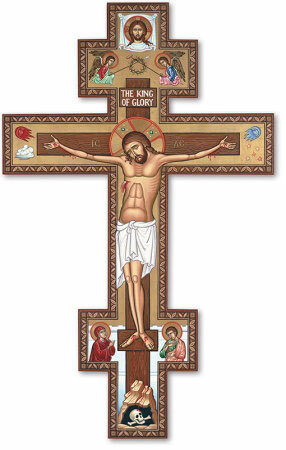 The Reverend Michael Kerestes, pastor will serve as celebrant and homilist. Interment with the Rite of Committal will follow in the parish cemetery, Lake Street, Dallas where military honors will be accorded by members of the United States Navy. Relatives and friends may join the Dorzinsky family for visitation and remembrances Tuesday evening from 6:00 until 8:00 p.m. and on Wednesday from 9:00 until the time of services at the funeral home. In lieu of floral tributes, the Dorzinsky family would be humbled if those contemplating a monetary donation in memory of Walter, kindly consider Holy Assumption of Saint Mary Byzantine Catholic Church, 695 North Main Street, Wilkes-Barre, PA 18705.